The purpose of this study was to present an overview of measuring profits in different types of cooperatives using a classification scheme provided by the National Cooperative Business Association (NCBA). Thecooperative form of business structure was defined for the eleven categories of cooperatives in the NCBA classification. This was followed by the delineation of the theoretical economic basis and nonlinear constrained optimization model for each category. 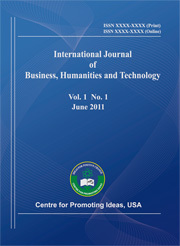 We find that profit formulations from the literature are strictly utilitarian with the achievement of economies of scale in purchasing to reduce costs for members to at or near the level of marginal revenue equating marginal cost, or selling to provide price supports such as in agricultural cooperatives whereby market power may strengthened through the restriction of quantity. This study identifies another type of model with sharing of knowledge and skills as occurs with preschool cooperatives among parents or technology cooperatives among programmers and software developers.